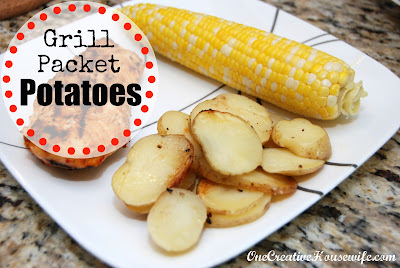 Potatoes, in almost any form, are one of my favorite sides when grilling. A super easy way to cook potatoes on the grill is in a foil packet. They are practically fix it and forget it. 1. Wash and slice your potatoes & onions, no thicker than 1/4". 2. Place a piece of aluminum foil (I use nonstick) on a plate. 4. 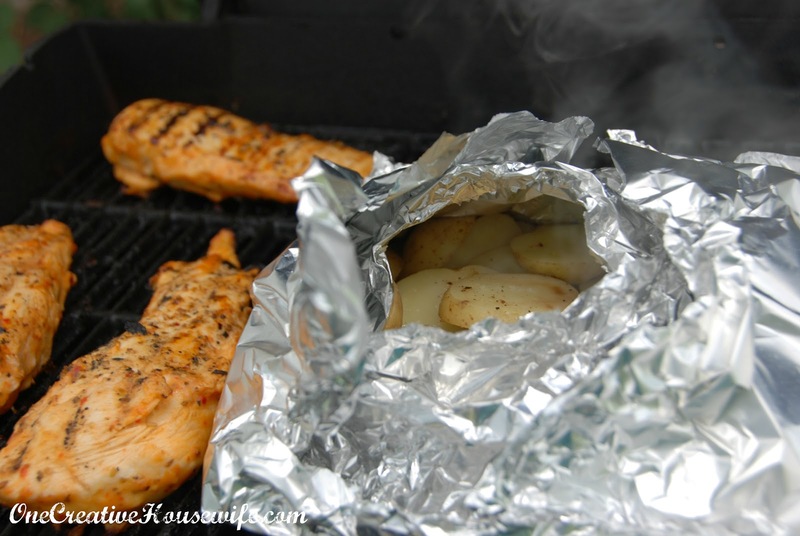 Place sliced potatoes and onions on the foil. 7. 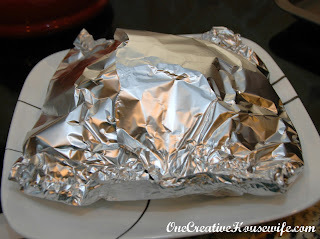 Fold two opposite ends of the foil one over the other. 8. Crimp open sides closed. 9. Place on the grill and cook for 35-45 minutes. 10. Around the 35 minute mark, open the packet slightly and poke a potato with a fork to check for doneness. (You should be able to poke through the potato with little to no resistance.) If the potatoes aren't done, let them cook a little longer. Once the potatoes are done, serve and enjoy! 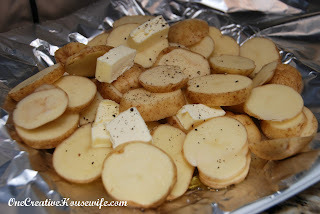 These potatoes go great with the oven baked corn I posted earlier.